BY LAURA LAMBERT –At work a few weeks ago, I was helping with an expansion project. The framing in one of the new rooms was complete. I looked around and immediately noticed a problem. I didn’t want to tell my boss, Kevin, what I was seeing, however. You see, Kevin almost always knows exactly what he is doing. On top of this, he has a lot of experience in construction. So, I was afraid to tell him the obvious: This room is going to be much too small! I never said a word. I knew he would notice the room was going to be too tiny as soon as the project was more complete. Still, I was surprised as we walked into the framed room and he pointed out where the outlets were going and what color the walls were going to be. How could he be mentally putting the finishing touches on a room that was clearly never going to work? Another week went by and I found myself in the same room again. But this time, the drywall was installed. I was shocked. The room looked twice as spacious as it had a week ago. This was going to be an amazing! He laughed, and his response was profound. We ended up talking about this phenomenon for a while, and a few things struck me. Don’t we do this with God all the time? We look at where we want to be, and it’s as if we are just looking at the framing. We are trying to mentally envision what our ideal future will be like, and we always put God in a smaller box than he deserves. We do the same thing with ourselves. We think things are impossible. That we are too small. That it will never work how we want it to. But when the drywall goes up, we are almost always surprised. What kind of God do we serve anyway? It’s easy to get caught in the framing stages of life. It’s easy to dwell here. To give up. To lose hope. But the next phase is coming. I’m preparing now. In many aspects of my life, I’m still in the framing stage. But then I think about Kevin. He wasn’t worried about that room at all. He has completed projects like that room many times and he knew it would turn out fine. So my advice to myself is twofold. First, why didn’t I speak up? We all have people in our lives who walked where we are walking now. Many of them are ready and willing to ease our fears, encourage us forward, and to be our biggest cheerleaders in life. I should use them more. Second, it would be a big mistake to look at where I am now and lack the foresight to acknowledge things are about to be different. 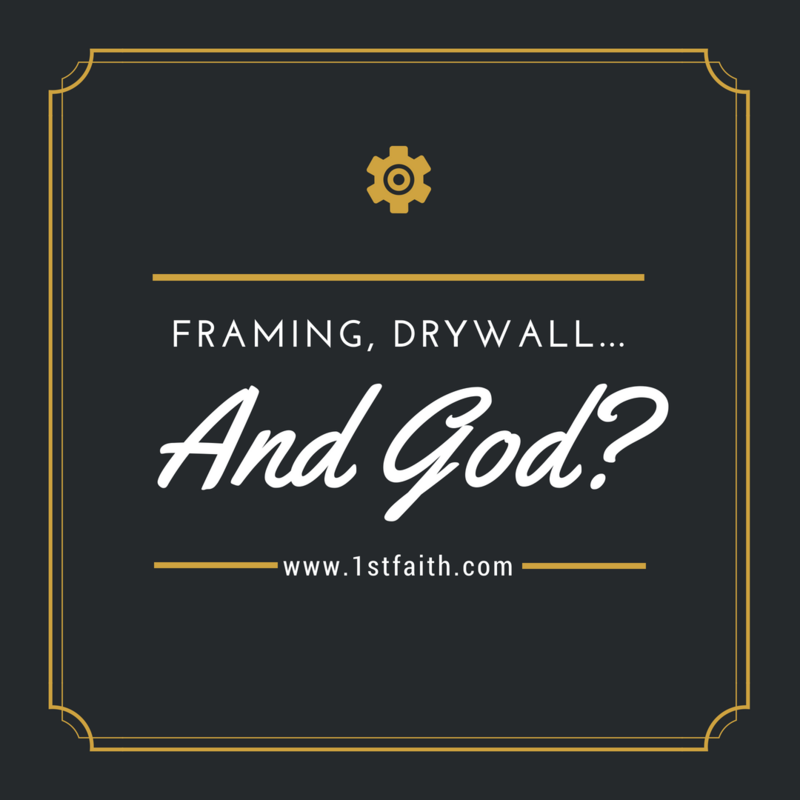 No matter what our life looks like know, if we are in the framing phase on a project, ambition, or relationship, know that the drywall is coming soon. The God we serve is bigger than our fears, bigger than our limitations (especially the ones we set upon ourselves), and bigger than our inadequacies. No project, no ambition, and no relationship struggle is too big for him. Regardless of how a situation appears today, He is the One able to completely change our perspective in no time at all. He is the one who can take something that looked impossible and make it reality. Our God is the God that changes the world. And He uses people just like us to do it. So, as for me, I’m going to stop looking around at my limitations when I think about changing the world. I’m looking forward to what is next. And I’m starting now.